The world’s leader in hard disk drives and storage solutions, Seagate has launched the next generation of home theater solution to offer consumers a rich, simple way to enjoy their digital media library on a TV – Seagate FreeAgent Theater+ (Plus) HD media player, which utilizes an unique docking system to connect your Seagate FreeAgent Go external hard drives aimed to eliminate fumbling with cables and connections. According to the company, Seagate FreeAgent Theater+ HD media player supports even more file formats including MPEG-1, MPEG-2 (VOB/ISO), MPEG-4 (DivX /Xvid formats), DivX HD, Xvid HD, AVI, MOV, MKV, RMVB, AVC HD, H.264, WMV9, VC-1, M2TS, TS/TP/M2T, JPEG files up to 20 megapixels, BMP, GIF, PNG, TIFF, AAC, MP3, Dolby Digital, DTS, ASF, FLAC, WMA, LPCM, ADPCM, WAV and OGG. The new Seagate FreeAgent Theater+ HD media player that came as a stand-alone unit and a kit bundled with a 500GB FreeAgent Go drive are now available for about $150 and $290, respectively. 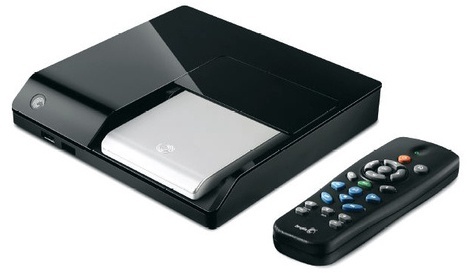 Check out the review of Seagate FreeAgent Theater+ HD by My Digital Life.